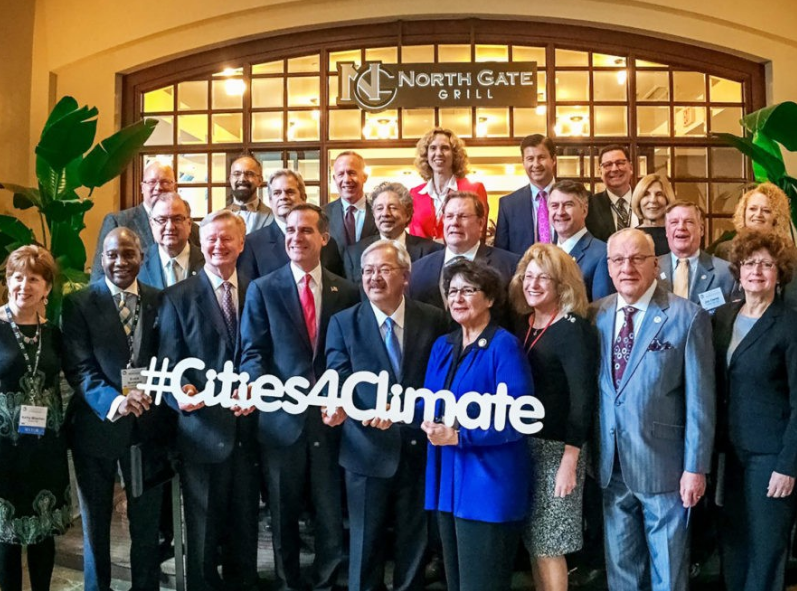 Mayors and CEOs and Governors, Oh My! How has the Divider-in-Chief managed to unite 3 state governor’s, 30 mayor’s, over 80 university presidents and more than 100 businesses? By putting ‘America First’ and not caring about the rest of the planet’s well being and reneging on our participation in the Paris Climate Accord! This is such an abysmal abandonment of America’s responsibility (after all, we are the second biggest contributor to CO2 levels in the world) that others in positions of relative power are ready to step in to fill the vacuum left by President Tyrannosaurus Rex. So far this group has not created a moniker for itself, while former New York City mayor Michael Bloomberg is coordinating the effort, reports the New York Times. “We’re going to do everything America would have done if it had stayed committed,” he said, adding that cities, states and corporations could achieve, or even surpass the pledge of the Obama administration. 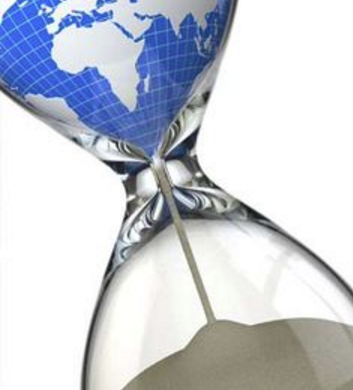 The United States is required to continue reporting its emissions for now, as a formal withdrawal cannot take place for several years (during which we had better figure out how to get the oil-backed greedy politicians out and the real human beings back in to our elected offices). Hopefully this is just the first of many more local and state level leaders to join this important move towards true ‘homeland security’ – an Earth with air we can breath and water we can drink! 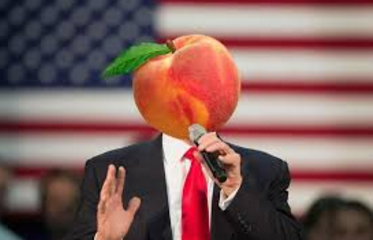 And so while der Trumpenfuhrer has mastered branding himself (even while walking away from multiple business bankruptcies) he is going to find that ‘branding’ America as a standalone island becoming ‘great again’ all by itself is not going to work. Bankrupting an entire country’s reputation in the world is not something you can bail on and recover in a lifetime. 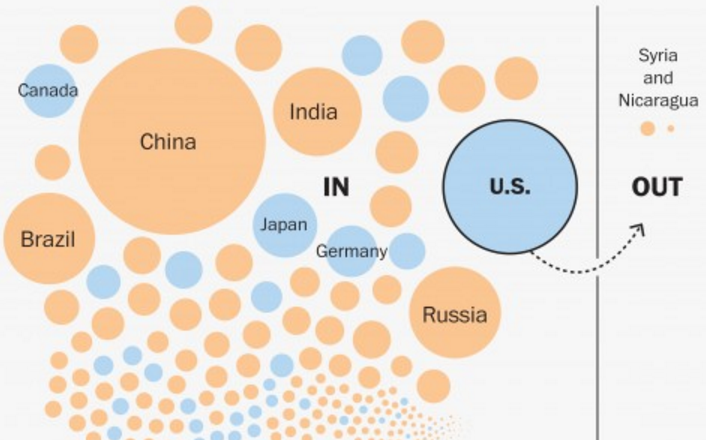 Just like the manufacturing jobs that left, never to return (despite Trump’s PT Barnum promises to the contrary), America’s leadership role will slip away, allowing other more Earth-aware, science believing nations to fill the void. 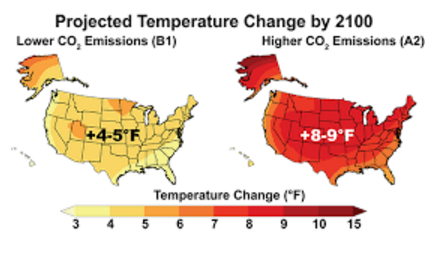 This is not something that a state such as California whose GDP is sixth in the world or Mayors who see the effect of climate change on their cities (Los Angeles, Salt Lake City and Atlanta to name a few) want to happen. According to the online resource SustainLane Government, Oakland, California is at the head of the class in meeting California’s mandate of 20 percent of electricity purchases to come from renewable origns by 2020. In fact, Oakland leads the US in green energy by drawing 17% of its electrical power from sources such as solar, geothermal and wind turbines. 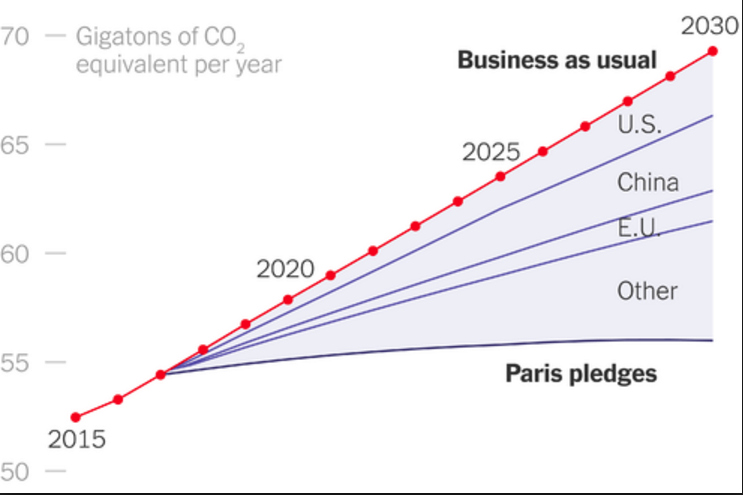 In fact, most of the actual decisions that create climate action are made locally so if these actors remain committed to the Paris accord the goals can be reached, according to Bloomberg. For instance, the state of Washington, California, and New York, have adopted a cap on carbon pollution, invested in growing clean energy jobs and subsidizes electric vehicle purchases. 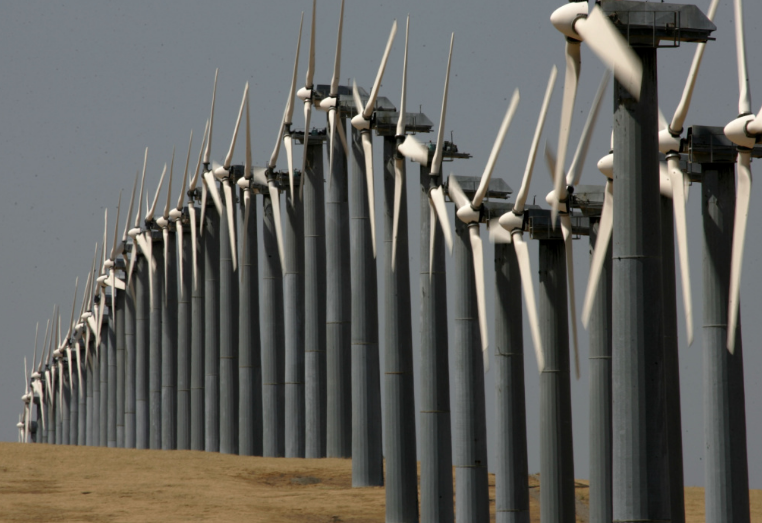 Significantly, much of California’s booming economy is in the clean energy field and it risks losing out on this growing business sector to China if we follow President “Job Creator’s” lead and step away from being competitive in the world’s market. 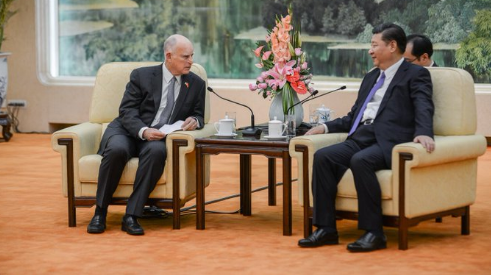 California governor Jerry Brown discusses green technologies, innovation, and trade with Chinese President Xi. 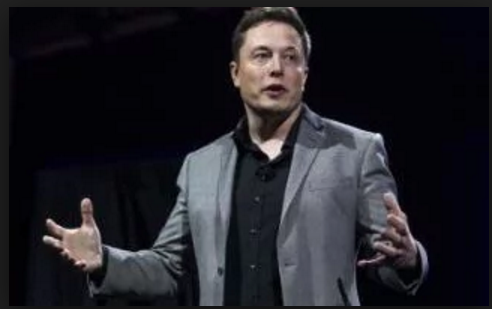 High tech tycoon Elon Musk unveiled his Red Planet survivalist manifesto last week, claiming that a million-person Martian urban center complete with ‘iron foundries and pizza joints’ could be achieved within 50 years, reports the Telegraph. 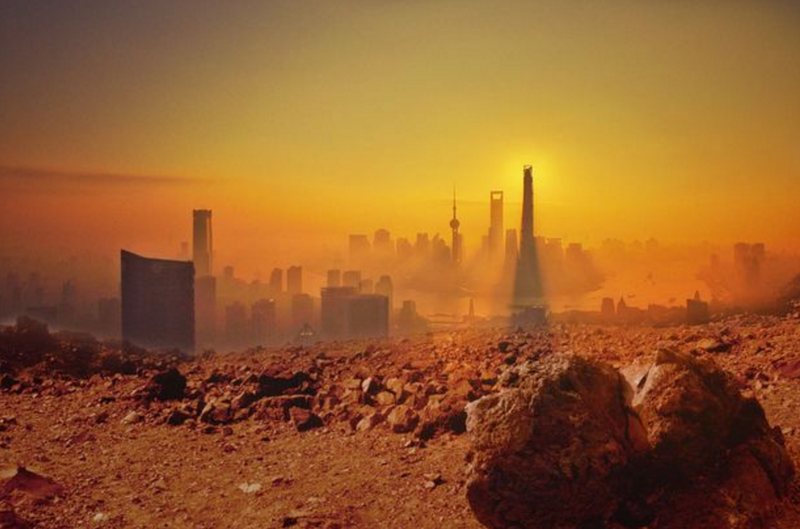 According to the billionaire SpaceX impresario who published his Mars-civilization-for-dummies in the journal New Space, earthlings would need an escape rout from Earth to avoid a ‘Doomsday event’ and our ‘eventual extinction.’ “I think there are really two fundamental paths. One path is we stay on Earth forever, and then there will be some eventual extinction. 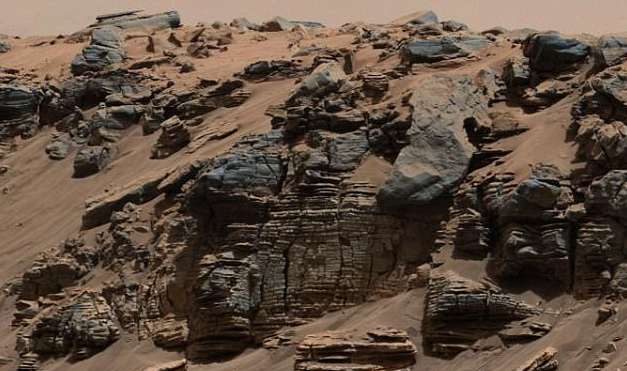 The alternative is to become a space-faring civilization and a multi-planetary species,” he said. It has got to be really fun and exciting. It cannot feel cramped and boring. 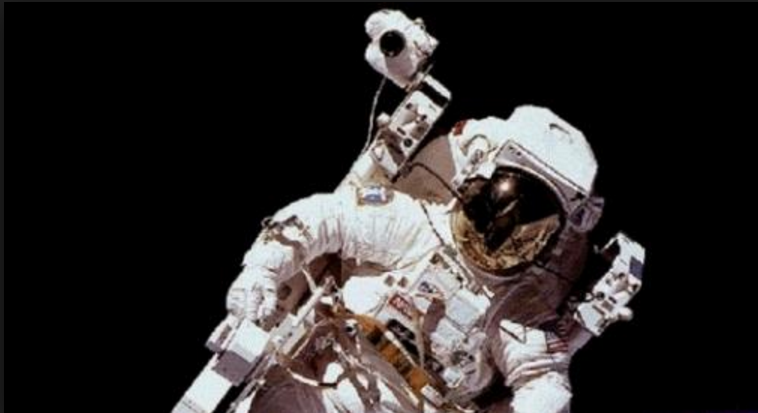 Therefore the crew compartment or the occupant compartment is set up so that you can do zero-gravity games. You can float around. There will be movies, lecture halls, cabins and a restaurant. It will be really fun to go. You are going to have a great time. 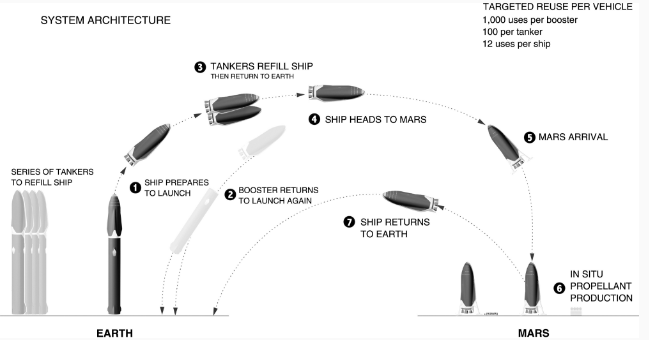 In addition to “iron foundries and pizza joints,” Musk envisions there will be methane plants on the Martian surface to provide fuel for rockets schlepping to and from Earth, a route he predicts will only take as few as 30 days (one way) in the future. So, aside from the obvious questions like who/how will the million astro-squatters be selected, what they will breathe for air once they reach the Red Planet, and who will pull the short straw to build and work the foundries and methane plants, Musk’s dream of a Martian metropolis eerily reminds one of a cosmic groundhog day in which we tote our dirty laundry to the next unwrecked planet only to eventually slip on the same evolutionary banana peel that’s brought us to the edge of extinction here on Earth, thus truly becoming a multi-planetary species of wandering locusts dooming everything in its path. 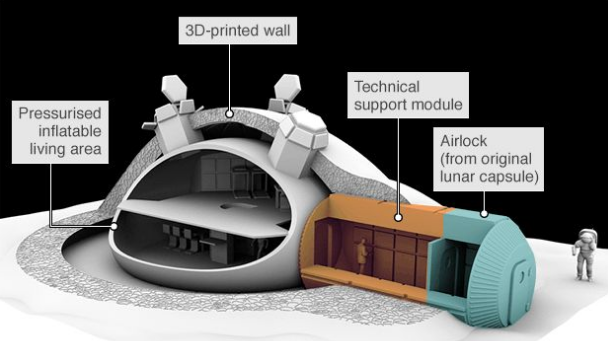 European Space Agency lunar base concept. 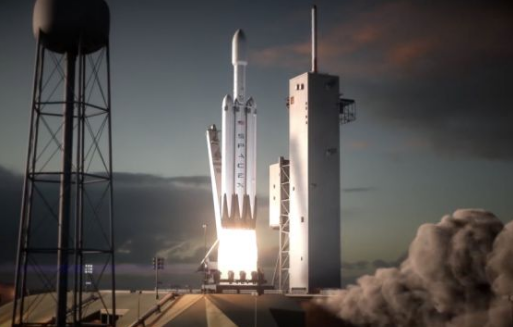 The new Space Corps would be led by its own chief of staff, and would answer to the civilian secretary of the Air Force, who, interestingly, is pushing back on the proposed new military entity. 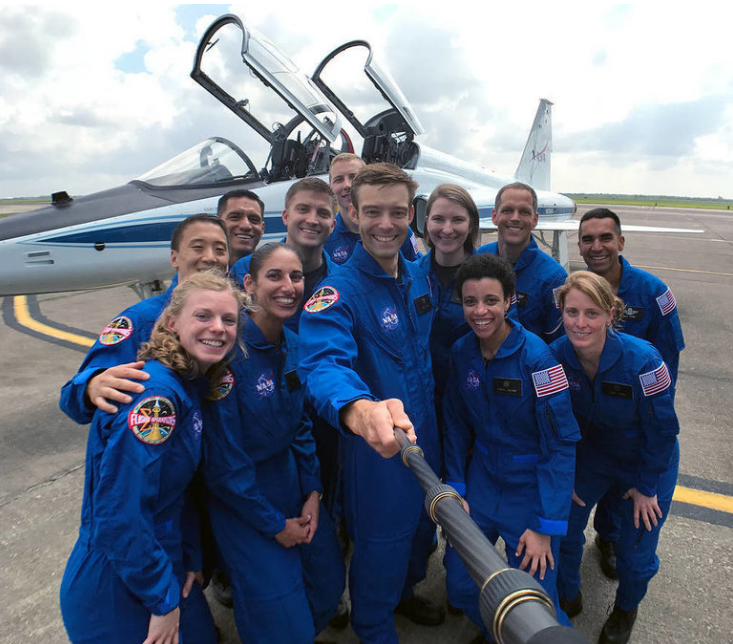 Secretary Heather Wilson said on Wednesday that she opposes the Space Corps, complaining that “The Pentagon is complicated enough. We’re trying to simplify. This will make it more complex, add more boxes to the organization chart and cost more money.’ Congressional champions of the idea, who are pig-biting mad at Wilson’s cold shoulder, argue that the creation of a space fighting branch is essential in protecting America’s network of communications and navigation satellites from weapons developed by nations such as China or Russia. 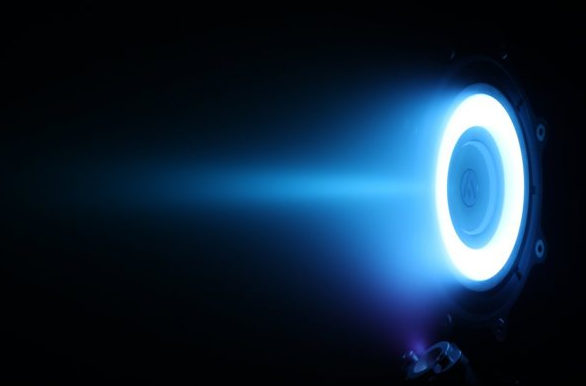 A research team from aerospace firm Thales Alenia and the Polytechnic University of Turin are dusting off and putting a new spin on a decades-old idea, and studying a conceptual design for a reusable, electric-powered “space tug.” Powered much like NASA’s Dawn spacecraft on economical “Hall Effect Thrusters,” the proposed vehicle would tow cargo (and perhaps humans),between Earth and the Moon, and would be refueled in low Earth orbit and be serviced by astronauts on the lunar surface and those on the International Space Station. 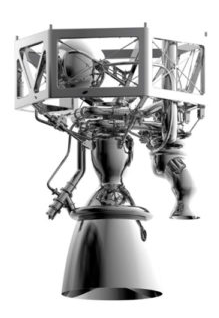 Under a similar theme of cheap and recyclable rocket motors, the European Space Agency and Airbus Safran Launchers (to be renamed ArianeGroup on July1) inked a deal last week to cook up a low-cost, reusable liquid oxygen/methane rocket engine dubbed “Prometheus” to go online after 2030 that will be made with the use of 3D printers to keep costs dow to around $1.1 million, reports the New York Times. “The commercial market – at least the European one – is asking for reliability, on-time delivery and cost, and we have to find the best way to answer these market expectations,” Safran’s CEO, Alain Charmeau, told Reuters. 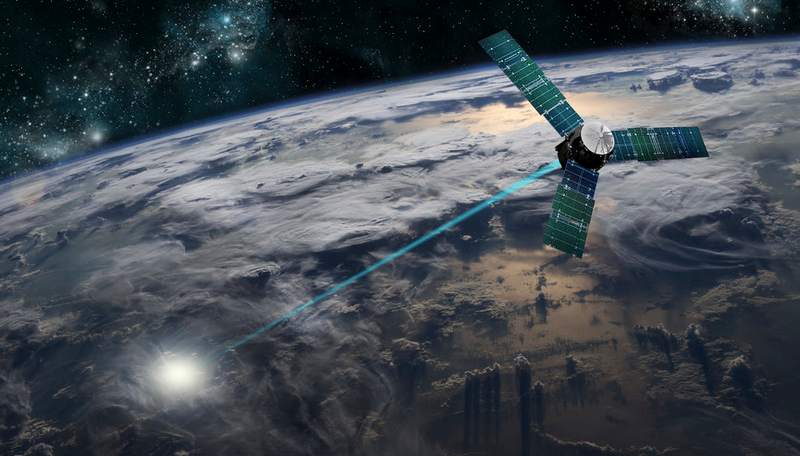 Charmeau noted that in particular, the expected boom in driverless cars and their need to have data transmitted to them globally, will increase the demand for communications satellites – and therefore rockets to launch them. The US Postal Service last week released a special stamp commemorating this August 21st’s total solar eclipse that will cut a 70-mile shadow through 14 states from South Carolina to Oregon. The collector’s dream features a pic taken by retired NASA astrophysicist and solar eclipse guru Fred Espenak, and boasts the first-ever use of thermochromic ink on a postage sticker, allowing the image to morph when the heat of a thumb or fingers presses the surface. (The underlying thermal-triggered Moon image, transforms to the classic lunar occultation shot once the surface cools.) For fanciers who want to preserve the longevity of their philatelic gem, the USPS is selling a special envelope for a nominal fee. And for those who want to do more than just ogle at literally a postage-stamp sized version of this year’s astronomical event, click here for the best spots to view the celestial show. 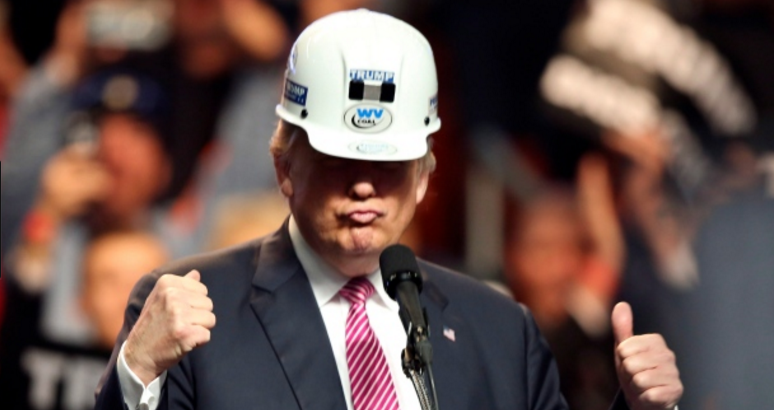 Donald Trump’s actions leading up to and including him pulling the U.S. out of the Paris Climate Change accord to further extend America’s greenhouse-gas frat party triggered several impeachable offenses, charges a Huffington Post op-ed piece last week written by Marjorie Cohn, Professor Emerita at Thomas Jefferson School of Law. 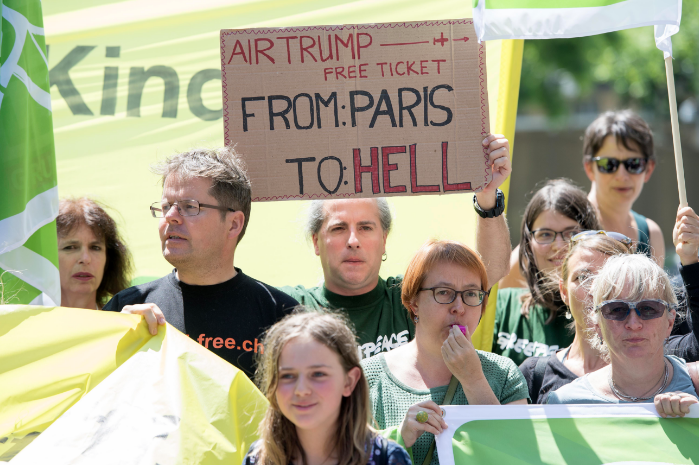 Therefore, Cohn argues, Trump’s withdrawal of the U.S. from the Paris climate deal is an impeachable, political offense since “he acted in concert with 22 Republican senators, who collectively receive $10,694,284 in contributions from the coal and oil industries” and who “put their own political and economic interests above the safety, security and indeed survival of the American people and the entire planet.” Particularly egregious, Cohn notes, is that Trump’s new energy policies stumble far short of the Obama administration’s promise under the Climate Change deal to reduce carbon emissions 26 to 29 percent by 2025, while the second most polluting country on the planet will now at best cut greenhouse gas exhalations by 15 to 19 percent below 2005 levels. I don’t know about you, but all this makes Trump’s arguably impeachable Comey/Flynn/Russia shenanigans look like running a stop sign, instead of a head-on collision of planetary proportions. 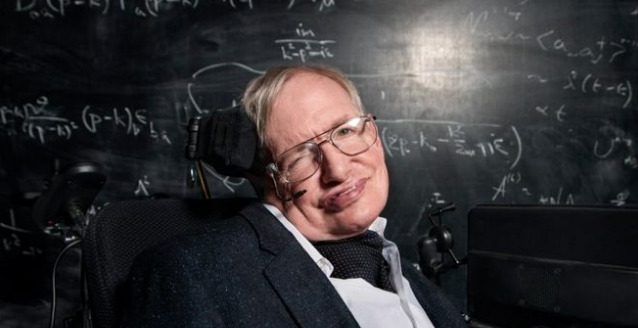 According to math wiz Carl DeVito, any attempted communication between Earthlings and intelligent ETs should be based on a shared “exo-arthimetic” language. 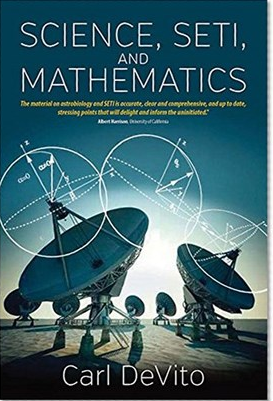 DeVito, who is an emeritus faculty in the mathematics department at the University of Arizona in Tucson, has proposed such a universal numeric lingo, and recently detailed his concepts at the Astrobiology Science Conference held in April. According to DeVito, since mathematics is such an integral part of our humanity from science to the arts, such a system would have a high probability of being understood – or even familiar – to alien civilizations. 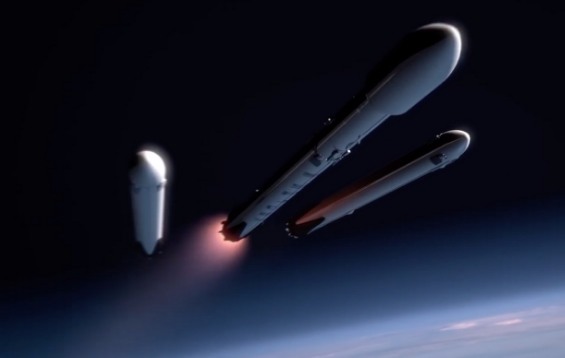 For a more detailed explanation, click this NBC article by Leonard David of Space.com. Take a 2017 space sojourn with the spectacular video below created with recent fly-by photos of Jupiter by NASA’s state-of-the-art Juno probe. Produced by German mathematician Gerald Eichstaedt, who spent 60 hours stitching 36 stunning Juno pix, and London animator Sean Doran, who, according to Wired, took 12 hours smoothing and enhancing the clip’s 2,400 frames before adding the Ligeti’s Requiem soundtrack used in Stanley Kubriick’s 2001: A Space Odyssey. 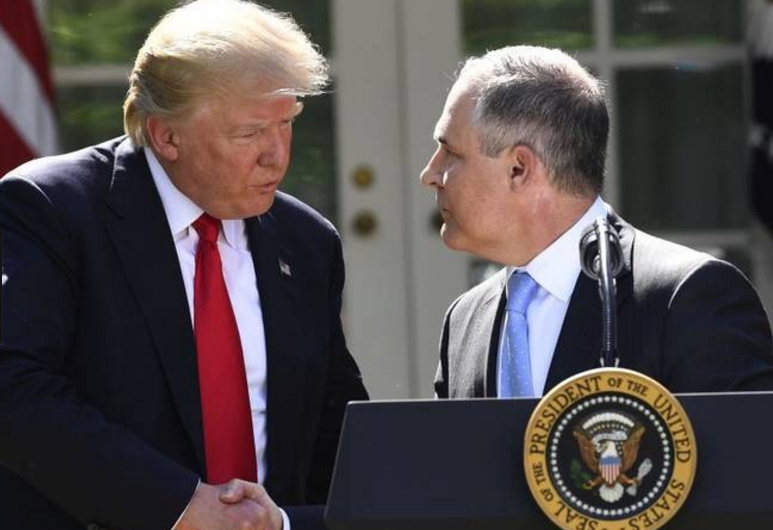 Mission Accomplished: Donald Trump congratulates EPA Scott Pruitt for his assistance in the America First, Earth Last decision. Holy Flying Spaghetti Monster! 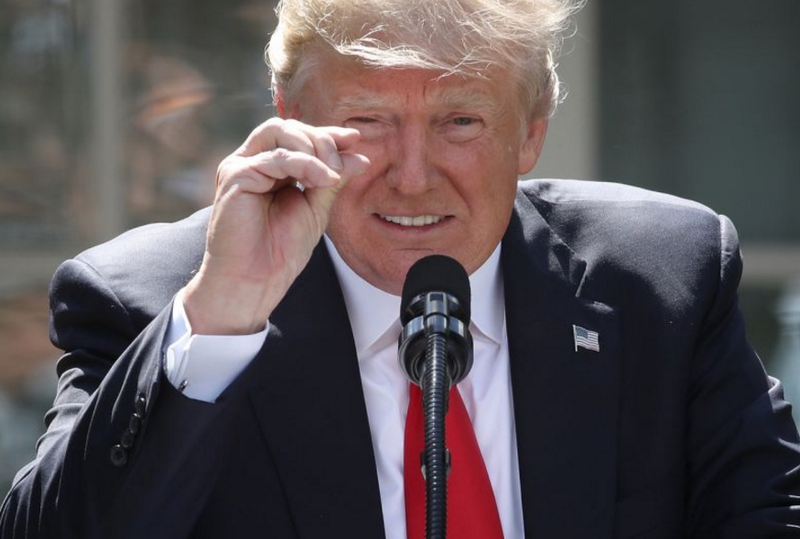 Donald Trump has officially placed planet Earth along side his cryptozoological menagerie of U.S. enemies following his baloney-fueled, fact-free Rose Garden speech last week in which he brashly declared that the second most polluting country in the world will ditch the multinational 2015 Paris Climate accord. 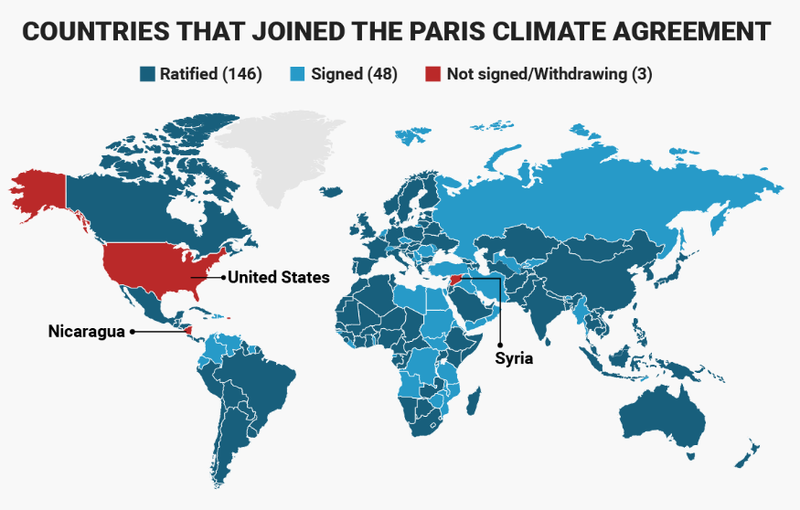 US to accompany Syria and Nicaragua as the three nations not part of the 2015 Paris Climate Change Accord. 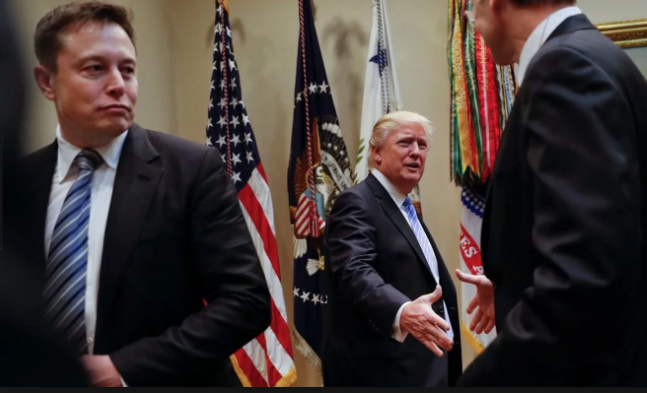 In addition to widening the chasm of disapproval between him, the majority of Americans, and most of the world, Cheetohead-in-Chief’s “decision” also managed to alienate blue blood corporate CEOs, high-tech moguls, and even mega carbon-rich energy companies like ExxonMobil, who collectively believe the historic anti-climate change deal is actually good for America. 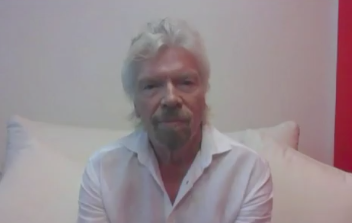 Seems like the only ones now standing by the burnt-sienna Veruca Salt are his hard-core sycophants and followers, employees, and the cheering hyenas that make up the Billionaires Cabinet Club. 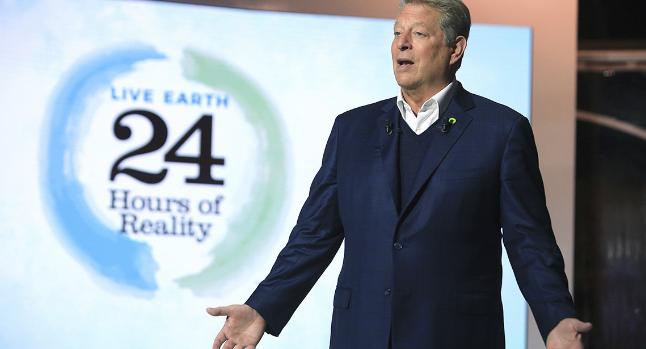 Former Vice President Al Gore. Hopefully the best of these intentions will garner fruition before it’s too late, and we see Donald Trump, instead of our home planet, forced down the garbage chute of history. Literally, the moment you were elected. Robert Bigelow speaks with 60 Minutes’ Lara Logan. 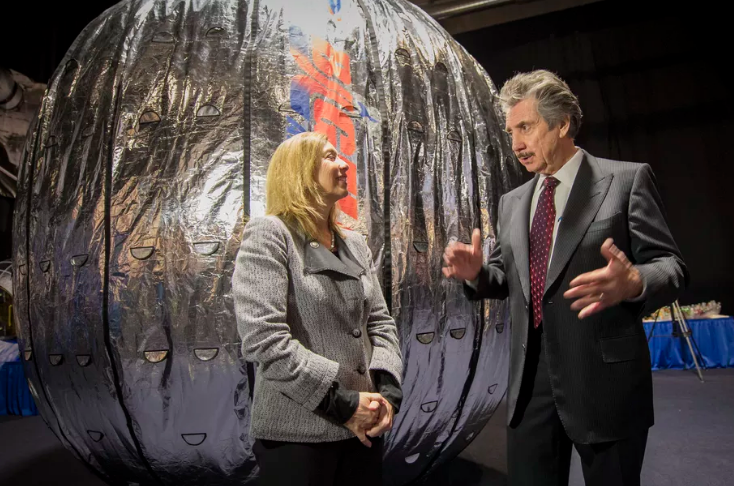 Bigelow Aerospace’s first inflatable human-rated habitat was launched last year, and his currently attached to the International Space Station. Well, at least Bigelow doesn’t believe climate change is a hoax cooked up by the Chinese.